REDONDO BEACH, Calif. â May 7, 2014 -- More than 36,000 integrated circuits fabricated by Northrop Grumman Corporation (NYSE:NOC) for the U.S. Air Force's fifth and sixth Advanced Extremely High Frequency (AEHF) satellites are allowing production to ramp up on a broad scale for both payloads. Each payload contains some 18,000 high-frequency Monolithic Microwave Integrated Circuits (MMICs) for frequency conversion, amplification and switching. They are integrated throughout major subsystems that enable real-time mobile, global access. Those include secure crosslinks, anti-jam uplinks and downlinks, and super high gain earth coverage antennas. 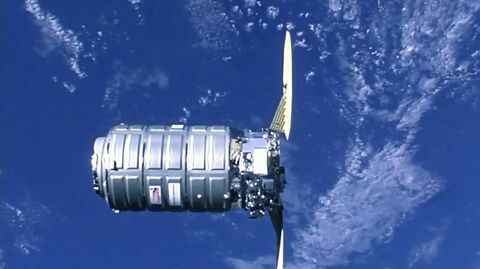 The company provides AEHF payloads for Lockheed Martin Space Systems, Sunnyvale, Calif., prime contractor for the next generation of protected military communications satellites. Three Advanced EHF satellites are on-orbit currently and three more are in production by the Lockheed Martin-Northrop Grumman industry team. "The Air Force procured these advanced, high-frequency MMICs through block buys early in the payload development cycle. 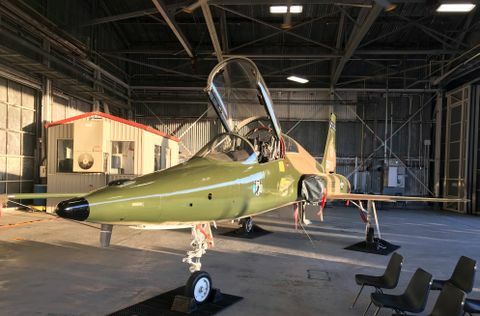 Along with cost and schedule savings, the parts were more efficient to produce," said Stuart Linsky, vice president, communication programs, Northrop Grumman Aerospace Systems. 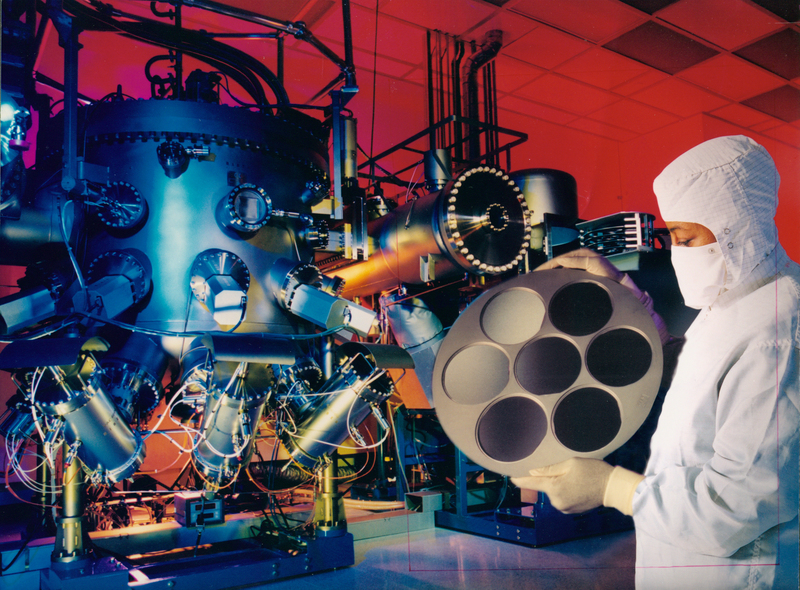 Northrop Grumman manufactured the specialty compound semiconductors at its advanced microelectronics wafer fabrication facility in Manhattan Beach, Calif. A Department of Defense Trusted Foundry, the facility is dual-use, producing commercial integrated circuits in large volumes for more than 20 years. "By implementing commercial best practices in making military integrated circuits, we're able to generate further cost savings for the Air Force," Linsky said. The MMIC-based components operate at microwave frequencies between 300 megahertz to 300 gigahertz and beyond.They have many benefits compared with those used in other communication satellite payloads, such as discrete transistors and passive components. A single, MMIC-based component the size of a quarter, for example, handles as many functions as a traditional, brick-size electronic "black box." They're one reason AEHF payloads are half the size and weight of previous-generation MILSTAR satellite payloads while providing 10 times the capacity. One Advanced EHF satellite will provide greater total capacity than the entire Milstar constellation currently on orbit. Individual user data rates will be five times improved. The higher data rates will permit two-way, jam-resistant transmission of tactical military communication such as real-time video, battlefield maps and targeting data. Advanced EHF satellite payloads uniquely contain a full range of features that provide effective protection against the wide range of threats from capable adversaries. These features include anti-jamming for the strongest jammers; low probability of detection and intercept; rapid recovery during a nuclear event; the ability to operate through scintillation; greatly reduced risk from physical attack to ground systems, and significant protection from cyber attack.